YES YOU CAN! And it looks good too. 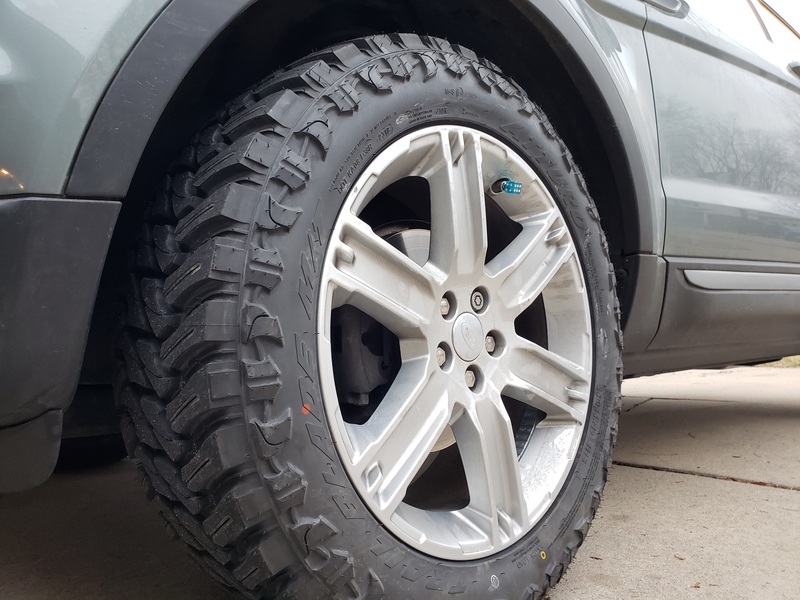 I have a 2015 pure plus and just put 255/ 55R/ 19 Atturo Trail Blade M/T tires all the way around. No rubbing or loss of turning radius. Spacers are not needed. 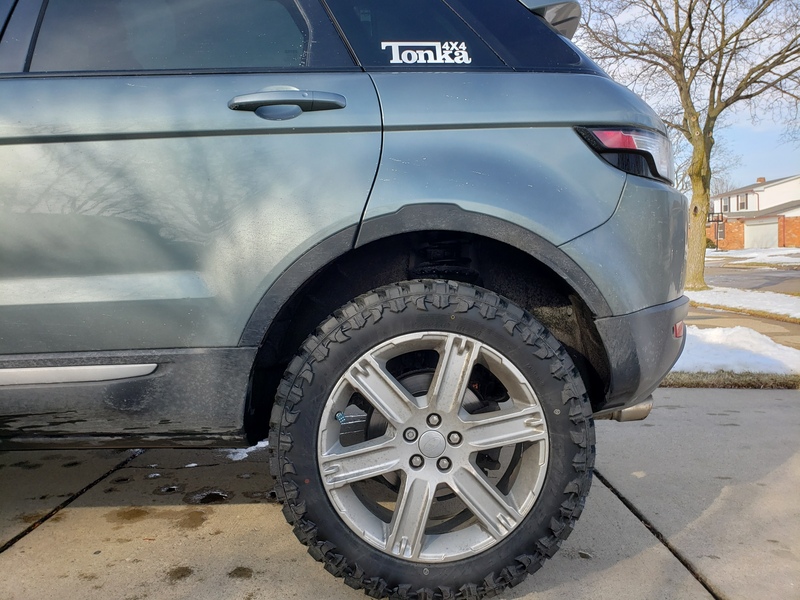 I reccomend you go with the Toyo Open Country A/T, had them on my 2012 LR2. Get tires. No lift yet. I am looking at doing about a 2 - 2.5 inch lift. This is not needed to fit the tires, I just want more ground clearance. 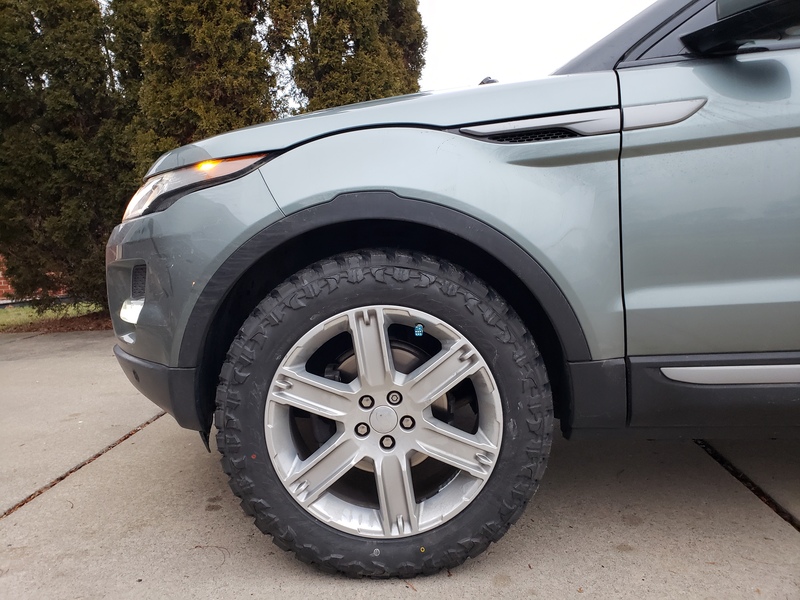 The Artturo Mud tires are noisy, but a trade off for great mud and snow traction. I easily can just tune them out after a few minutes driving. To be honest I like the noise, it reminds me that I can pretty much go anywhere at anytime. But if I don't want to hear them, it does not take much volume to drown them out. They actually gave it a better ride too. I Just needed to set pressure around 40 psi for highway speeds. (I air down to 20 psi in snow and off road). Post some pictures when you do the lift please. Lift done....2.5". Next is wheels and underbody guards. Pics coming soon! What lift kit did you go with the H&R? Can we get a side shot Motorcity? I agree. Where did you get a 2.5” from? And we need pics. I have the 1.5 from H&R but now I’m trying to get another 3” if possible. I might have to remove electronic suspension to do it. H&R springs 1.5" lift and a 1" strut spacer kit. Plus the 31" tires = 2.5" - 3" total ground clearance depending on the air pressure at the time.